A group of psychologists say they have discovered twenty-three different body language indicators that show whether or not a person is lying. 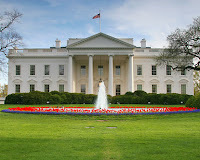 If you would like to see all twenty-three at the same time, they recommend taking a guided tour of the White House. Oh, Conan, how I miss you!! @Anything Fits a Naked Man - I can't believe the crap that went on about his show. Talk about a farce!